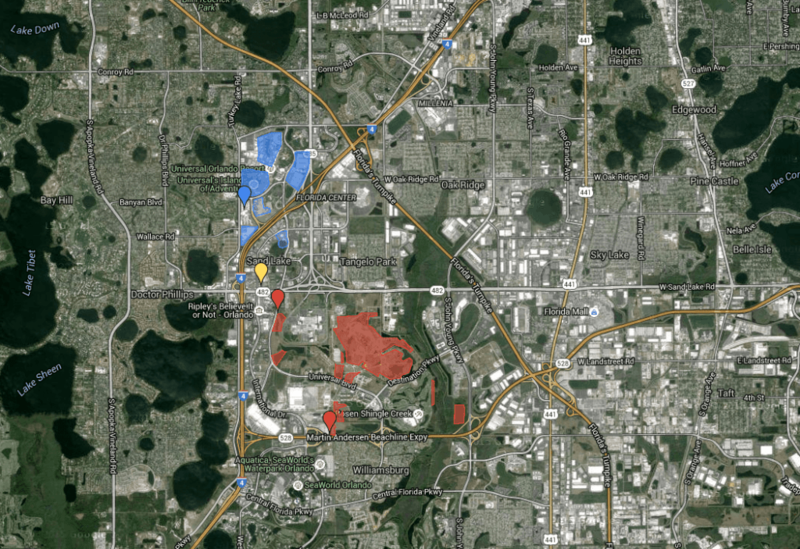 Everyone knows that Universal Orlando Resort, at “just” 840 acres, is rather limited on real-estate. Yes, there’s the 50-acre Wet ‘n Wild property, which is rumored to be transformed into a site for additional (value) hotels within the next few years. And, all right, yes, there’s also the secondary plot of land that Universal just (re)purchased late last year, spanning some 474 acres and representing the company’s best bet for additional theme parks and CityWalk complexes. 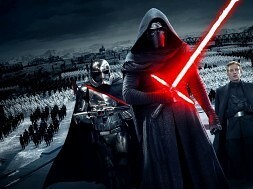 New theme parks are on the way! But it turns out that the company, in its inventiveness, may have found a way around the lack of space for new attractions and the typically large buildings they require, and it involves squeezing new experiences out of pre-existent facilities. Unsurprisingly enough, to test these uncharted waters, Universal Creative has chosen the two items that have proven to be the most creatively successful and financially lucrative: Harry Potter and food. The first response to the news that we recently broke about Universal possibly looking into adding new holiday events to its two Wizarding Worlds of Harry Potter may be excitement – I mean, c’mon, who doesn’t want to attend the Yule Ball? – but the second reaction, immediately following that rush of happiness, should be a light bulb going off: this is the perfect way to infuse the two theme park lands, which are now six- and two-years-old, respectively, without having to pay for the hefty costs of construction. By installing new stage performances, a night-time show involving the projection of footage onto Hogwarts Castle, and hard-ticketed holiday parties, Universal is reaping the benefits of having a brand-new attraction open up – with consumer interest once again skyrocketing for both Hogsmeade and Diagon Alley – without actually physically doing it. 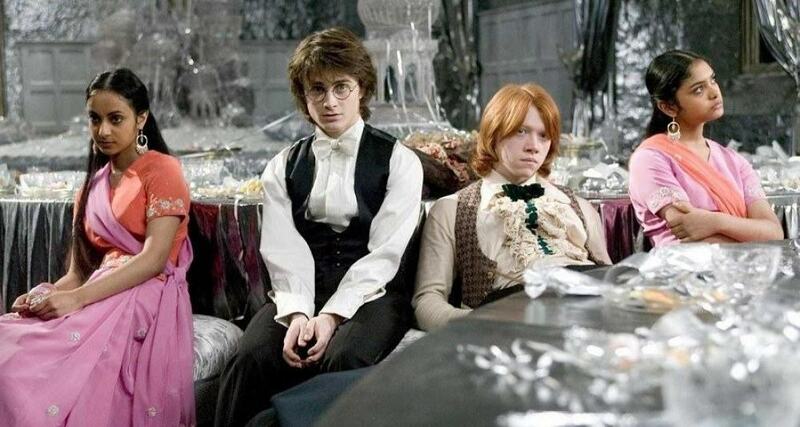 This is exactly what the Yule Ball dinner/dance experience would entail. This is, in fact, precisely what Disney ended up doing with its mega-popular Frozen franchise – after that film opened to unexpected success at the end of 2013, the company was left scrambling to assemble a theme park experience without having to go through the lengthy construction process (which is even lengthier for The Walt Disney Company, given that it prefers to amortize costs over several calendar years). The result, of course, was Frozen Summer Fun at Hollywood Studios, which ended up running for a goodly chunk of both 2014 and ’15 and which exclusively consisted of shows, food, merchandise, meet-‘n-greets, and play areas. While it’s hard to see Universal perusing an exactly similar program for Harry Potter – even though the now-annual Harry Potter Celebration is all but demanding to be expanded into a multi-weekend, multi-faceted experience – the potential is certainly there for the broad strokes to be adhered to. 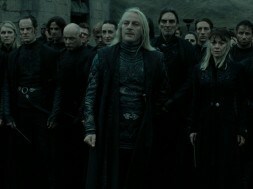 Imagine a Death Eater “parade” working its way through the streets of Diagon Alley, looking for Ollivander and any Order of the Phoenix member; a Battle of Hogwarts show (in which Hogwarts Castle is appeared to be damaged); or a Guy Fawkes Night celebration in the London waterfront. While not infinite, the possibilities certainly seem like they’re endless. And Universal doesn’t even need to follow the traditional route of attractions or rides – it has trail-blazed the path of themed, exclusive food, and it’s been hard at work ensuring that there’s a steady string of new culinary experiences to be had in both of Harry’s wondrous worlds. Butterbeer has been the star of the show here, of course – ice cream, warmed, potted, and fudge are all the further varieties that have been trotted out over the course of the past two years – but there’s also been the alcoholic beverages, such as Fire Whiskey. With a seventh butterbeer iteration rumored to debut at Universal Studios Hollywood later this year (that one’s supposed to be a pastry of some sort), the company doesn’t seem keen on stopping any time soon. Maybe we can expect to find Felix Felicis potions at The Three Broomsticks or Mrs. Weasley’s homemade pies imported at The Leaky Cauldron before long. As exciting as an ever-expanding Harry Potter menu may be, it turns out there’s more to culinary theming options than just sticking within the specific confines of various intellectual properties (no matter how delectable thy may be). Your new permanent home in Orlando. When Universal officially announced the mouth-watering Toothsome Chocolate Factory and Savory Feast Emporium on its blog last week, it started things off with a rather interesting – and most certainly telling – sentence: “The brilliant minds behind Universal’s attractions and its culinary concepts have come together to deliver the next level of dining at Universal CityWalk.” Yes, that’s right – Universal Creative is now collaborating with Corporate Executive Chef Steve Jayson (the creator of butterbeer) on restaurants. This takes the example from the Wizarding World and turns it on its head: instead of focusing on food items and putting them in a theme park land, Universal is now providing the themed environment part of the equation and coupling it with a more traditional food lineup (we say “more” traditional because, well, have you seen Toothsome’s absolutely insane menu?). 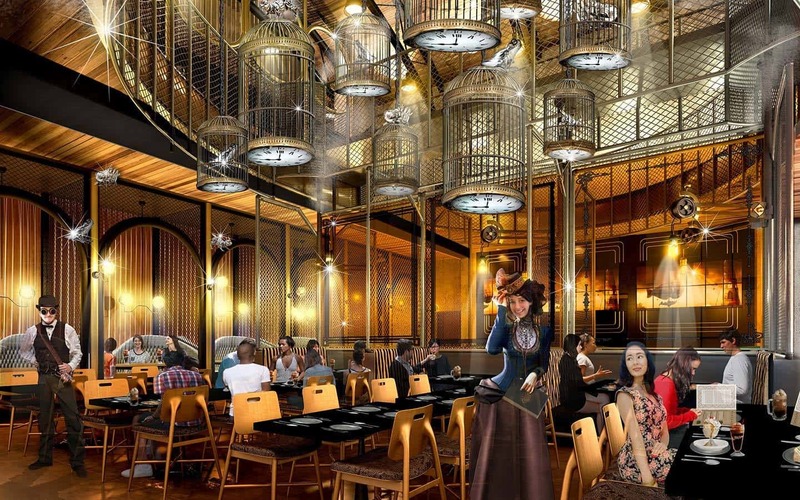 The potentiality here really is limitless: if a Cheesecake Factory-esque venue can be transformed into a Charlie and the Chocolate Factory-meets-steampunk experience, then what would happen if Universal went after Panera Bread? Or Chipotle? Or, perhaps most tantalizing of all, Walt Disney World’s Sci-Fi Dine-In Theater, which consistently gets high marks for its concept but low marks for its quality and service? But that’s just scratching the surface. What if we start to put a bigger emphasis on the “experience” part of that equation and offer an attraction (of sorts) to complement the meal? Dinner theater might be a good start here, plunging guests into a highly detailed room with actors and a story that unfolds around them as they eat their meals (hey – what if the Blue Man Group got its own dedicated eatery? What a gastronomical experience that would be), but this being Orlando, we can go so much deeper down the rabbit hole. What if we had a giant market-type setup, where each section had a different theme, smell, mini-narrative, and set of colors and tastes? In this way, not only would diners get a chance to have a series of small plates of completely different cuisines from completely different parts of the globe, they can also have a bit of an odyssey to accompany their meals, traveling around the world (or some alternate ones) and swapping stories along with their bites. What’s interesting to note here is that, while these new Universal Creative “hybrid” establishments will need to take the other restaurants at CityWalk into consideration, they don’t need to necessarily compete with them; a pizza at Red Oven and a pizza at one of our eat-while-you-travel concepts would be entirely different experiences, from the taste to the atmosphere to the utilization of one’s senses. Subs from Bread Box or ice cream from Cold Stone could also easily fit into this overlap scenario (though the more specialty outlets, like The Cowfish Sushi Burger Bar or the Hot Dog Hall of Fame, would require a wider berth). Quality and creativity, in short, would always win out, even if the options on the menu might seem a bit constrained – much like the entire Universal Orlando Resort with its real-estate situation. What kind of non-land expansion would you most like to see in the near future? Sound off in the comments below – or discuss it in our new Facebook vacation-planning group. 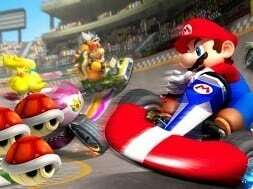 Is Nintendo Land being delayed? next What if the DC Comic Universe came to Islands of Adventure?